And I love Peter Alexander Pajamas. I have been wearing them since I was a teenager ordering them off the catalogue - how Peter Alexander started his business. I still remember the pair I took on School camp! They last FOREVER and have always been fun, quirky and comfortable enough that you wouldn't hesitate to wear them all day or even out of the house! Of course I'm wearing the flannelette as I write this blog post! 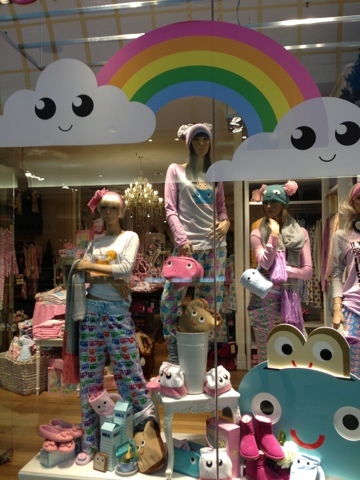 So, this weeks Shop of the week goes to the Pajama king - Peter Alexander! Peter Alexander has a great story. Melbourne born and bred, he was voted "least likely to succeed" at high school according to Wiki. I guess he took that negative attitude towards him and turned it into something fabulous. Not only is he an entrepreneur but he is a great guy (I've heard him talk in the past) and has a great business which is full of fun. 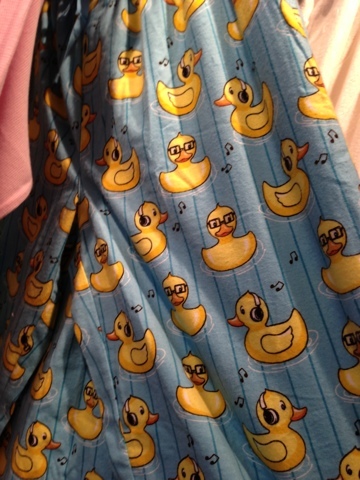 His PJs are quirky, kawaii - cute, colourful, humourous and also classic. He has fun styles like toasters, vegemite, gingerbread men, ducks, clouds, rainbows, dogs - his passion and so many more fun filled designs he has come up with over the past 25+ years... They are also classy & chic with beautiful florals and gorgeous colours. 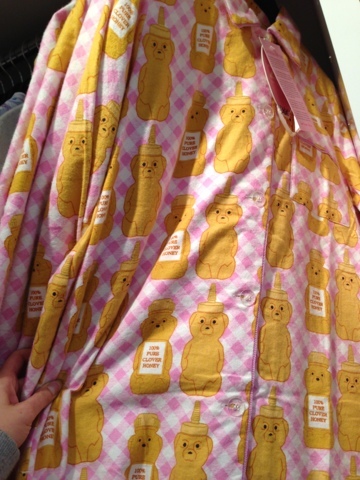 PA also designs fun mens PJs - the current collection includes beetle cars, eggs and toast and dog cross bones to name a few. 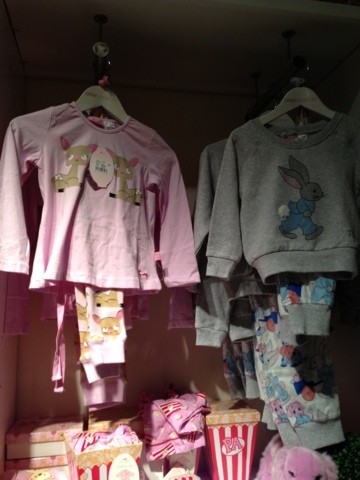 Of course they have some equally as cute kids PJs - and some kids Pjs even match the womens collection - what a great Mother's Day present, matching PJs! Too cute! 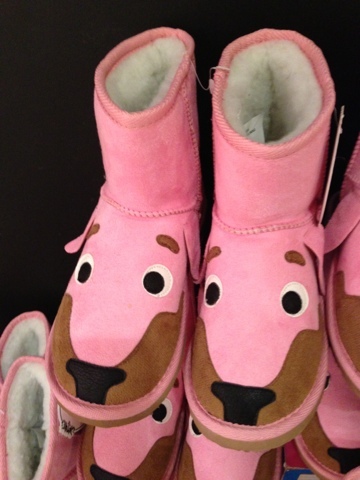 Accessories, ugg boots, knick knacks, books and other fun things fill the gaps between PJs in store. 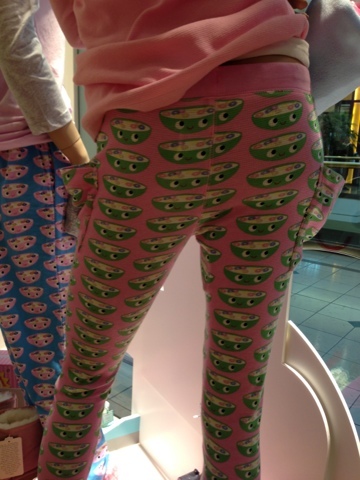 Peter Alexander's shop windows, just like his Pjs make you happy. How could I resist walking pass this cute window and not snap away for shop of the week. It just made me smile. With over 50 stores in Australia and New Zealand - I guess he proved his High school teachers and peers wrong - nothing better than that is there!! check out his website here - winter in Aus is on its way. Who wouldn't want to be pulling on a pair of his flannel Pjs on a cold, rainy night or a pair of cute boxer shorts for those going into the warmer weather. Shop of the week: L'uccello.